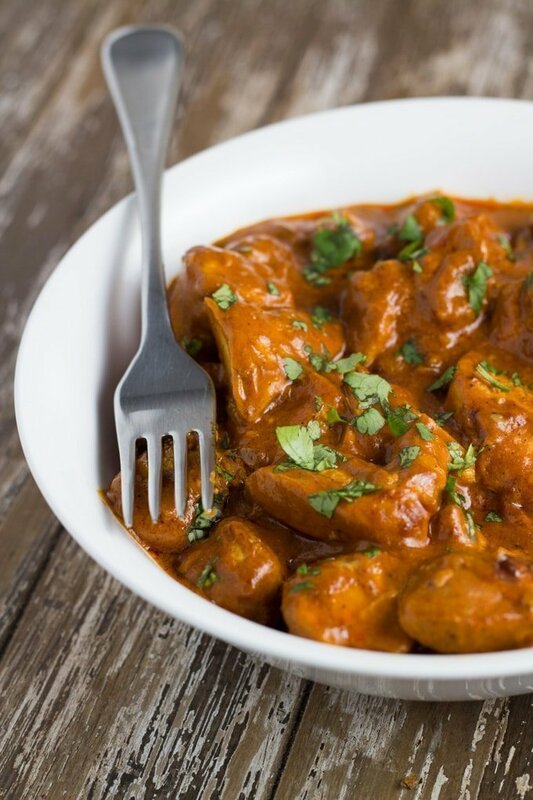 My healthy slow cooker butter chicken is one of the tastiest slow cooker meals ever. It is so easy to prepare too. A long, long time ago, I used to eat out and get takeaway a few times a week. I did love to cook, don’t get me wrong. But, when I was getting home late from work, it was easy just to buy dinner. When we would eat at an Indian restaurant (or get Indian takeaway), I would order one of two dishes – Butter Chicken or Chicken Tikka Masala. If I ever made one of these dishes at home, it would usually be from a jar. These days I like to know what goes in to the meals that my family eats. This means fresh, whole foods and a variety of herbs and spices – no numbers, and no crap. I have made Butter Chicken several times before from scratch, but never using a slow cooker. Seriously, why did I not have one of these babies before!! Cooking is so easy when you use a slow cooker (easy enough that you don’t need to settle for takeaway, so long as you plan a little bit ahead) and the results are fantastic. If you are cooking meat, it is always really tender or falling off the bone, depending on what cut of meat you are cooking. 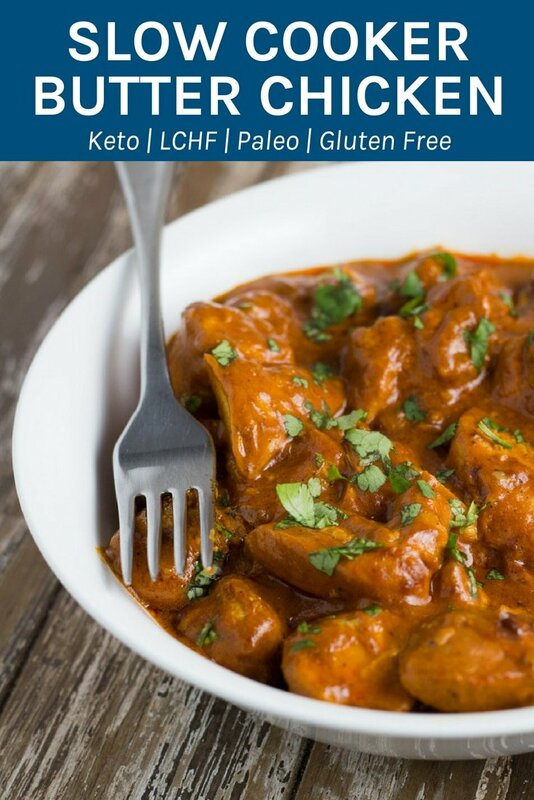 This version of Butter Chicken is delicious, healthy and so easy to prepare. I would have to say it is in my top five slow-cooker meals, along with my Slow Cooker Shredded Lemon Garlic Chicken, Slow Cooker Lamb Shanks, Slow Cooker Osso Bucco and Slow Cooker Beef Ribs. Add coconut milk, tomato paste, tapioca flour, garam masala, curry powder, chili powder and ginger powder, stirring until well combined and the sauce has started to thicken. Season with salt and pepper. Serve with the coriander and your favourite sides (mine with quinoa). I love to add fresh broccoli and cauliflower in the last hour of cooking and then serve with quinoa. Drinking this sauce, it is so yummy! Chicken is so moist and tender. Hello, do you ever sear the chicken before you place it in the slowcooker? Can this be done on the high setting for less time?